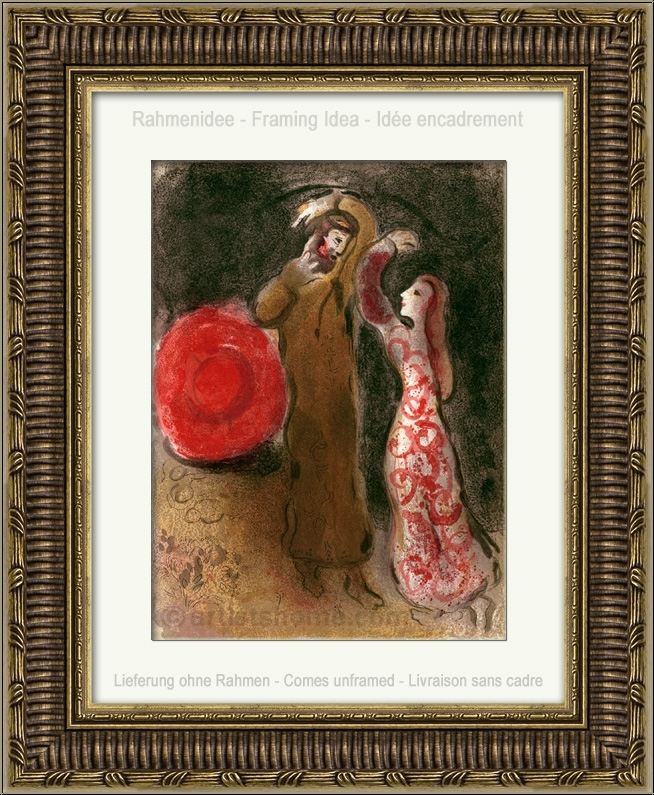 "Meeting of Ruth and Boaz"
In this picture, Chagall shares with us the moment when Ruth and Boaz first meet. It seems as though they are wildly gesturing. 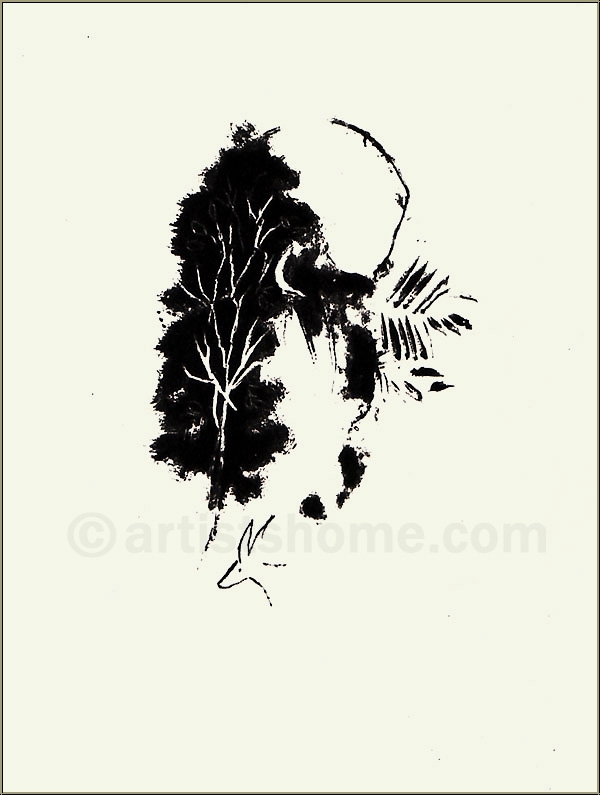 However, when looking more closely at their faces, you will find that they are not arguing, on the contrary, according to the language of the Bible the gesture of the two lovers holding their left arms up in the air to the right over their heads almost making semi-circles suggests a good-hearted and truthful intention. 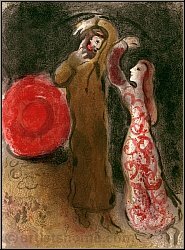 Most likely, Chagall intended to stress Boaz’ friendliness and generosity, with which he receives the foreign woman after he had heard about her diligence when collecting ears of grain (Ruth 2,4 ff). The warm shades of brown and red he used in this painting radiate harmony and a feeling of security and already reveal what is going to happen next. 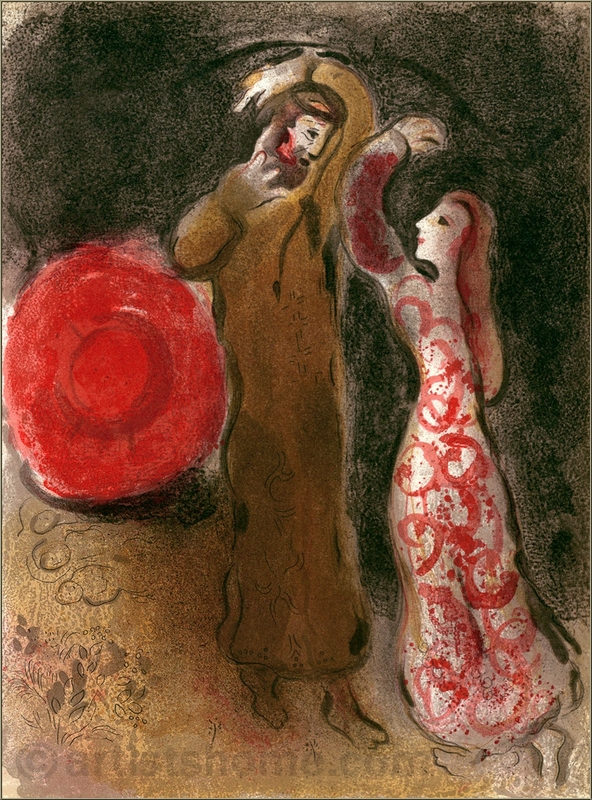 Marc Chagall dedicated a sequence of five lithographs to the chapter of Ruth. This one is the third on the woman who became Boaz’ wife and consequently King David’s primordial mother through love, faithfulness and consistency.